Imagine trying to wrap your head around the number 10 billion. 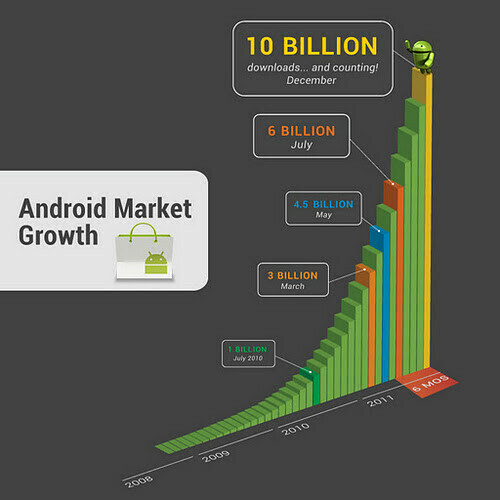 According to Google, that is how many downloads have come from the Android Market since its opening. 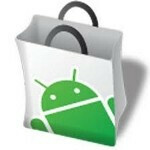 The number was reached this past weekend by Android fans who have been rewarded somewhat by Google's 10 cent sale on some apps. In the past 6 months alone, 4 billion apps have been downloaded from the Android Market with 7 billion downloaded since March of this year. That figure jumps to 8.5 billion since July 2010. Some of the reason for these massive figures can be attributed to the 200 million Android phones that have been activated, a number that is growing by 550,000 per day. The Android Market does have some competition in the App Store which in July announced that since opening it had 15 billion apps downloaded. During the same month, RIM said that BlackBerry App World has had 1 billion apps downloaded since hanging its shingle. thats a lotttttt of downloads. I was starting to wonder when this was going to be put up on this site. I've downloading 5 of today's 10 apps. I'm hoping tomorrow will bring different premium apps. Yei, 10 more apps today!